You are reading Part II of this post. The body of the post is hidden to prevent spoilers. I've been giving some thought to why we read. What is it we're looking to find in those pages? The answer is different for each of us. I read to learn, and to feel. I love a book because its characters charm me, or the story stirs me. But what does it mean when we don't like what we find between the covers? 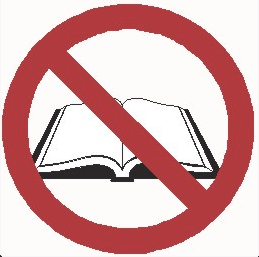 Recently, I had the opportunity to really ruminate on what happens when I hate a book. For days, I'd been wrapped up in a certain novel--loving it. I was enmeshed in the world and emotionally invested in the story. In short, captivated. A friend of mine was reading it at the same time and we would text back and forth about the characters as if gossiping about friends. And then the author did something so unthinkably cruel and awful, I felt like I'd actually been punched in the stomach. This book had me crying a few times, but at that moment all I felt was white-hot, visceral rage and I threw the book across the room. I'm serious. I've never done that before. It was automatic, an unconscious impulse. 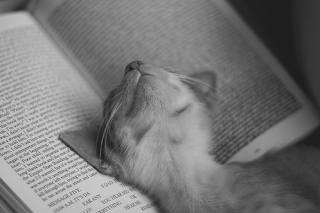 One moment I was reading, and the next, the book was hurling through the air. I went from loving it to hating it in one sentence. I left the book lying where it landed for at least a day. But I did eventually finish it, fuming the entire time. I felt so manipulated, and so stupid for believing all the things the author had me believing. And I could not let it go. It was all I thought about, all I talked about. 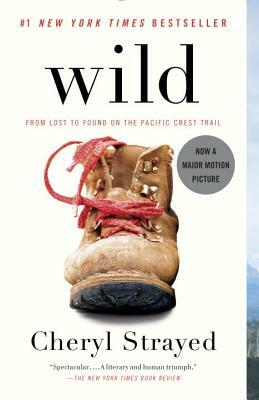 Around this time I came across a blog called I Hate Cheryl Strayed. Fans of Cheryl Strayed may want to steer clear, this woman's anger is for real. I read a few posts of her 39-part review of Wild. 39 parts!!!!! After that, she goes on to review the movie version, and then Cheryl's other book Tiny Beautiful Things. The blog is entertaining but I didn't really understand; if she hated the book so much, why waste so much time on it? And I thought about the book I threw across the room. I wasn't writing a blog about it (though now I am), but I certainly spent a lot of time thinking and talking about it. And, after all, I did finish it. The writing is beautiful and the characters really did feel like friends. I wanted to feel something, and I certainly did. So, did I really hate it that much? Or perhaps the better question; did I really care that I hated it that much? Whatever else this book was to me, it was an experience, and I'm glad I read it. And with a little time and perspective of what real book-hatred looks like, I can even say I liked it. I'm not saying there aren't books out there that I legitimately hate, I am not one to find value in a book simply because it's a book. And I'm not saying that the blogger above doesn't legitimately hate Wild. I'm only saying that I liked this particular book so much that it didn't matter that I hated it. So the book I swore I would never recommend--I'm recommending it. I hesitate to reveal what book I'm talking about, worried that there may be inadvertent spoilers in this post. So, I'll leave it up to you. Click on through if you want to know. Bringing this back. Various links to cool videos, websites, articles, and blogs about books. Enjoy! You may recall the "squee heard round the world". Here's the trailer that accompanies said squee. Do. Not. Tell. Me. Anything. The first episode was last night and I haven't seen it yet. I was trying to find a literary holiday for you to celebrate this week, but I found something better instead. Melville House's commentary on literary holidays, Major Literary Holidays Other than Read an e Book Day. International Lie About Having Read Proust Day is my new favorite holiday. It's "actually everyday, though it's officially recognized on August 13." I'll be exchanging gifts if anyone wants to join me. It was a serious toss-up between that and January 13th, Give Up Trying to Read 2666 Day. one writer for his or her achievement in fiction. Worth £60,000, the prize is awarded every two years to a living author who has published fiction either originally in English or whose work is generally available in translation in the English language. The winner is chosen solely at the discretion of the judging panel and there are no submissions from publishers. 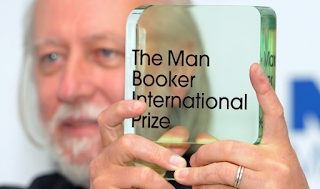 Where the regular old Booker Prize is given to one book, yearly, the Man Booker International Prize is awarded for a body of work every two years. Kind of like the Olympics. Actually, not at all like the Olympics. Some of his more recently translated work includes Santantango and Seiobo There Below. Cool books I really want to read, but haven't had a chance to yet. Admittedly, not really news, just my sneaky way of pointing out cool and worthwhile books you might be interestded in. A new edition of what is commonly seen as the legendary Norwegian writer's masterpiece, this story tells the tale of Siss and Unn, two friends who have only spent one evening in each other's company. But so profound is this evening between them that when Unn inexplicably disappears, Siss's world is shattered. 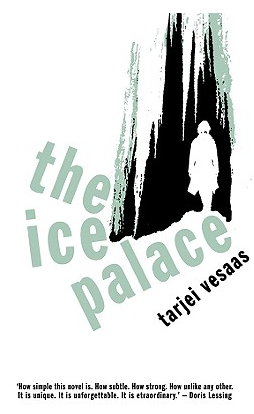 Siss's struggle with her fidelity to the memory of her friend and Unn's fatal exploration of the strange, terrifyingly beautiful frozen waterfall that is the Ice Palace are described in prose of a lyrical economy that ranks among the most memorable achievements of modern literature. And a book and a cat. 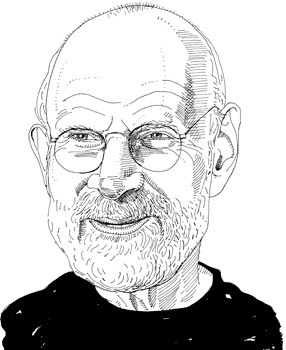 A few months ago, Oliver Sacks announced that he has terminal cancer. He wrote a beautiful piece in the New York Times, and if you haven't read it, I urge you to do so now. It's here. His keen observations fill dozens of books, and even now, as he comes face to face with the end, he offers the same effortless wisdom. While I am cheered by his thoughts on a life fully lived, it's impossible not to be saddened by the thought of a world without his particular mind. And that got me thinking about letting go of and saying goodbye to other great and creative minds. It seems Melville House has been thinking about it too with their lovely series called Last Interviews. Each book in the collection features interviews spanning the career of various brilliant artists and writers, including the very last interview. 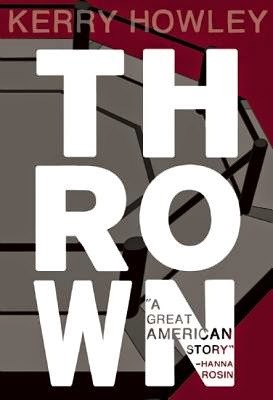 The series currently includes Lou Reed, Hannah Arendt, David Foster Wallace, James Baldwin, and many others. These beautiful books offer insight and wisdom and the heady feeling of knowing you're reading some of the very last provocative thoughts of some of our greatest thinkers. Speaking of great thinkers and Oliver Sacks, the man himself just published his autobiography last month. Check it out for more brilliant thoughts. And yes, that IS him on the cover. Super Hot Author Alert! With unbridled honesty and humor, Sacks shows us that the same energy that drives his physical passions weight lifting and swimming also drives his cerebral passions. He writes about his love affairs, both romantic and intellectual; his guilt over leaving his family to come to America; his bond with his schizophrenic brother; and the writers and scientists Thom Gunn, A. R. Luria, W. H. Auden, Gerald M. Edelman, Francis Crick who influenced him. 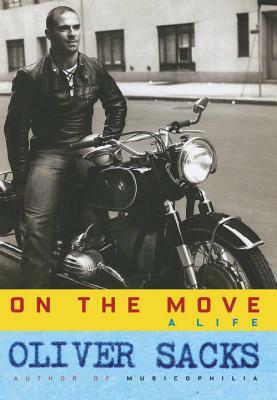 On the Move is the story of a brilliantly unconventional physician and writer and of the man who has illuminated the many ways that the brain makes us human. Erin says, "Read this book." I never, ever thought I would care about Mixed Martial Arts, (cage fighting if you need a visual) let alone read an entire book about it. It's violent, and dangerous, and just so stupid. But then I found this book; a world-expanding and wonderfully weird read about philosophy and obsession, failure and hope, and yes--cage fighting. While bored out of her mind at a writing conference Kerry Howley decides to follow a group of men who lead her to a makeshift fighting octagon at the very same conference hotel. It is here she witnesses her first MMA fight and undergoes a transcendent experience that she doesn't fully understand, but longs to replicate. That night she meets one to the two fighters she will follow over the course of the next three years. Inserting herself into their lives as a "space taker," Howley chases that unexplained, otherworldly feeling while her fighters chase dreams of glory, fame, and brotherhood. This book is wild. I learned more about MMA and phenomenology than I ever thought I wanted to (not that I actually ever thought about those things or knew what they were until now). It's absurd, and smart, and sad. In a word--captivating. Read it.